The main challenge for those seeking to retire early is how to generate enough income to meet or even exceed their monthly household budgets. The challenge is magnified when you consider the fact that your cost of living is likely to grow exponentially as your children grow and enroll in schools. With a projected rise in household budgets, you will, therefore, need to also plan diligently on how to generate enough income over the years to meet those growing financial obligations. Sources of income, rather than the uses of the income thus raised, should be your first priority when you are planning your early retirement. Some of the sources of income will be applicable both before and after your retirement; while others will fall to either before or after your retirement. To afford an early retirement, you do need to plan for it in two ways. you need to create a retirement fund which should have grown to a certain size to generate income and you also need to have income streams opened up that can generate passive or active income for you in your retirement. To start saving in an organized manner for your early retirement, you will need to create a retirement fund for yourself. This will be a collection pool for all the cash you want to dedicate to your preparedness for early retirement. Having regular monthly deposits into the retirement fund will help grow your wealth over time and create a good source of funds to meet your monthly bills immediately after retirement. The interest rate income in your fixed deposit account is however very minimal and it will require a long period of saving before you can feel the effect of the compounding power of the returns on your savings. To maximize your returns from your retirement fund and grow it much faster, you can opt to venture into other investment channels that offer high return potential, albeit with equally higher risk exposure. Investing in stocks and bonds can provide good investment platforms for your retirement fund, if you have a long way to go before you take your early retirement. However, if you just have a few years to your early retirement, you will need to go for short-term financial instruments in order to grow your retirement fund faster. Online trading provides various asset classes that you can trade on and return huge margins over a short period of time. You will however need to first learn the art of online trading through tutorials and demo accounts. Thereafter you will have to keep tabs with the latest market trends through Lionexo online channels and other similar sources of credible market information; in order for you to be able to make trading decisions that optimize your returns. When you master the art of online trading of forex, indices and commodities, you will be able to increase your return potential to the north of 80% depending on the asset class and the investment channel you choose. Planning for early retirement is very important; and creating a retirement fund that is big enough will help you to have a buffer in case you face huge financial obligations that were unplanned for before you retired. 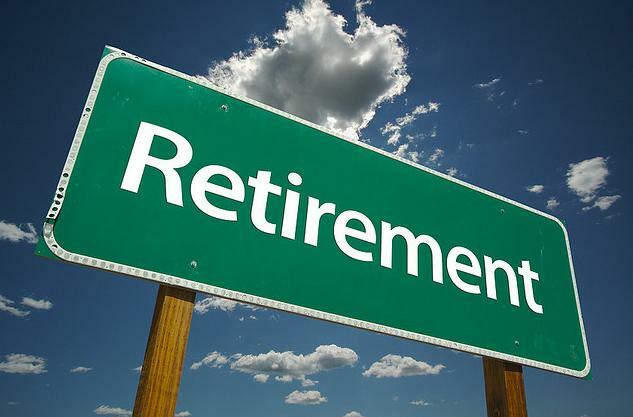 In addition to the pre-retirement plans, you also need to have a way to continue generating income when you retire. This will require a different kind of thinking since you will now be your own boss and your income will be determined by how much effort you make in generating income each day of your retired life. Continuing with your online trading, investing in stocks and bonds as well as having some cash in a fixed deposit account can be some of the obvious ways to continue generating income after your early retirement. You can as well opt to go for investments through mutual funds and unit trusts as well as consider government bills and bonds. For the unconventional individuals, you can choose to get into real estate investment so that you earn a regular rental income every month. For those who like writing, blogging could be a good channel to commercialize your writing talent; by providing quality content and having advertisers pay you to list their adverts on your blog. Freelancing is also a very common way to generate income after you retire early; especially if you are an expert in your profession. You should also start earning dividend income from stocks and stock funds that can partially offset the loss of your salary. Annuities can add another income streams as well. Individuals have varying preferences when it comes to planning for their early retirement. However, the fundamental consideration should always be how you will be able to raise enough funds to cater for your immediate expenses after retirement; and how to generate more income during your retirement to sustain a high quality life. Readers, Have you taken an early retirement or planning to have one? do share your experiences with us. I like your focus on planning early. I’m still in my teens so I recognize it is better to start planning now. Thanks for the post.